Savor a superb meal at one of our four restaurants and lounges, each offering a stylish atmosphere, exceptional fare, and great company. An enticing array of Vietnamese, Asian and Western culinary specialties keeps each meal exciting and fresh. 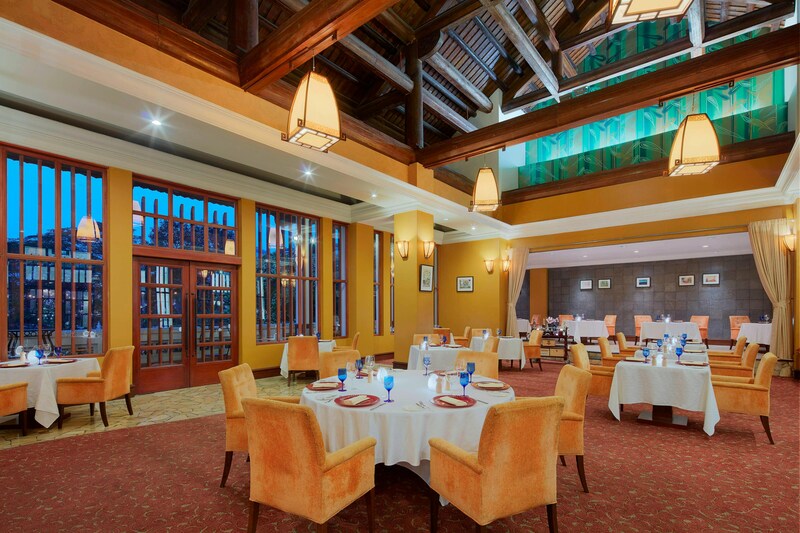 Begin your culinary journey at Hemisphere&apos;s Steak & Seafood Grill, our signature restaurant. Enjoy some of the best steaks in Hanoi and an array of truly innovative dishes while overlooking West Lake. Next, visit Oven D&apos;or for a modern twist on international favorites. Stylish décor and an international buffet keep guests coming back for breakfast, lunch, and dinner. For a casual cocktail or snack, stop by the Lobby Bar to relax in style. The afternoon tea proves most welcoming after a busy day exploring the city. Or catch the breeze at Bar Déjà Vu, which overlooks the gardens and offers a wide selection of wines and tapas. 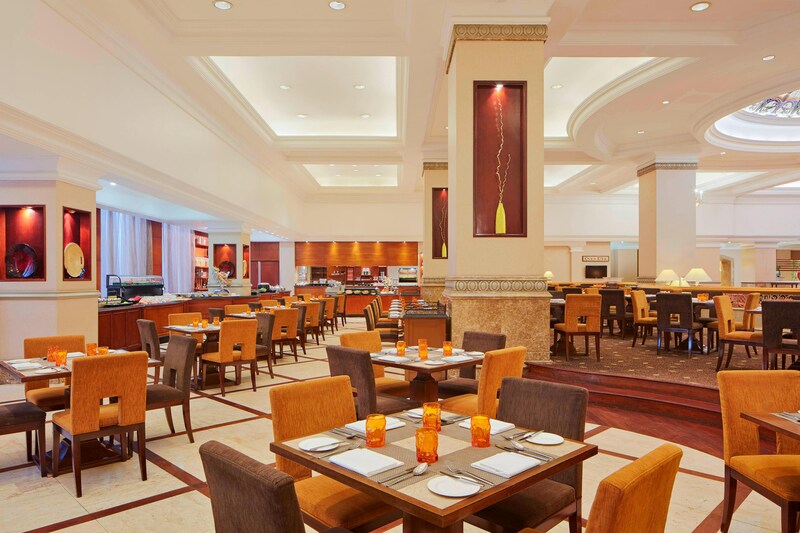 Modern and stylish, the Oven D&apos;or Restaurant serves up an intriguing blend of international cuisines any time of day with a tempting buffet, live cooking stations and a delectable à la carte menu. Our Sunday Brunch is not to be missed. Experience the best of both hemispheres at Hemispheres Steak & Seafood Grill. On the charming balcony or under the dramatic wooden ceiling, feast on perfectly-prepared beef and seafood, complemented by local products and an outstanding wine list. Come enjoy a delicious meal in a cozy atmosphere! Come enjoy a delicious steak on a romantic night out! Fast and fresh California - Mexican inspired food and local beer. A pinch of Salt and a squeeze of lime. Maison de Tet decor strives to bring the best produce and service to their customers, offering a well-rounded breakfast, lunch and dinner menu focusing on healthy organic ingredients. Get a taste of Italy right in the middle of Vietnam! Referencing the great cafés of France, Café du Lac introduces the contemporary French brasserie to Hanoi.